Both stylish and comfortable, the Hopkins derby has been dressed in premium suede that will look excellent when paired with all shades of denim. 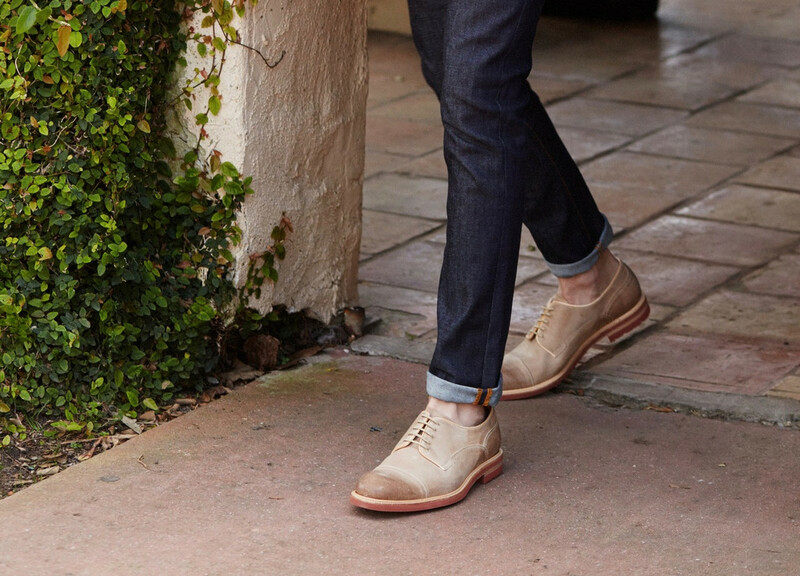 Not to mention, these derbies feature a lightweight outsole to ensure the most comfortable step. In the footwear industry there are unfortunately no enforced standards among manufacturers when it comes to shoe sizing. Quite often, as you may have experienced, the same size in one brand will fit completely differently from another. Based on our customers' feedback Crosby Square shoes Made in Portugal in general tend to fit one half size larger than other shoe brands and the Crosby Square shoes Made in Spain. For example: if you typically wear a size 9.5, we would recommend you order a size 9.